There are many different variations of home heating systems to keep your house warm and cozy during the cold winter months. Options range from gas furnaces, heat pumps, and even entire HVAC systems for both your air conditioning and your home heating needs. Regardless of your personal preference, Global Heating & Air Conditioning has got you covered when it comes to heating installations. 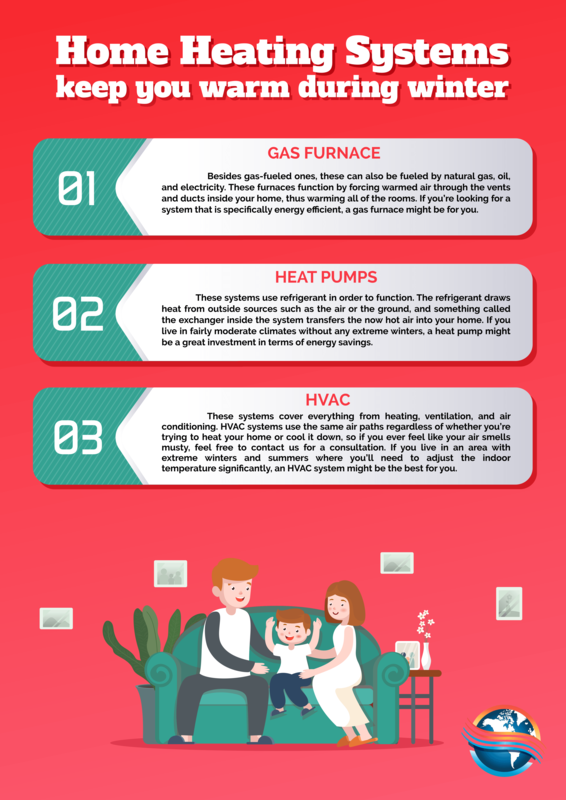 These are only a few of the heating options that you can choose from, and if you are still having trouble deciding on one, give Global Heating and Air Conditioning a call, and we’ll be happy to come by for a consultation!